Register for the FRED Talks series! 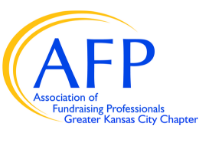 AFP KC is pleased to announce FRED Talks. This series of FundRaising EDucation Talks will feature insights from local, regional, and national experts on hot topics of interest to fundraising professionals. All FRED Talks will be held at the Kauffman Foundation Conference Center, 8:00-9:30am. The fee for each FRED Talk is $15 for members ($25 for non-members), but for a limited time, AFP KC Members can purchase the entire year's worth for just $99! Register now for the bundle! Individual program registrations will be available soon. Have you considered adding grant funding to your funding stream and wondered if hiring a grant consultant is worth the investment? March 20 - 18 months—Whaaat???? If Fundraising is a profession, why are fundraisers lasting only 18 months? How does technology inform fundraising? Are you sending the right message, in the right medium at the right time to engage? September 11—I am worth it! Each program offers 1 CFRE CEU.